Formal instruction is required to give you a depth and breadth of knowledge from which to operate. Practica are required to give you opportunity to work out what you are learning on the anvils of real life, in order to discover how to integrate knowledge. Taken throughout your educational process, these will help you gain a variety of experiences in many areas. Little real-life learning is acquired without real-life experience. Therefore practica are critically important to the overall learning process. 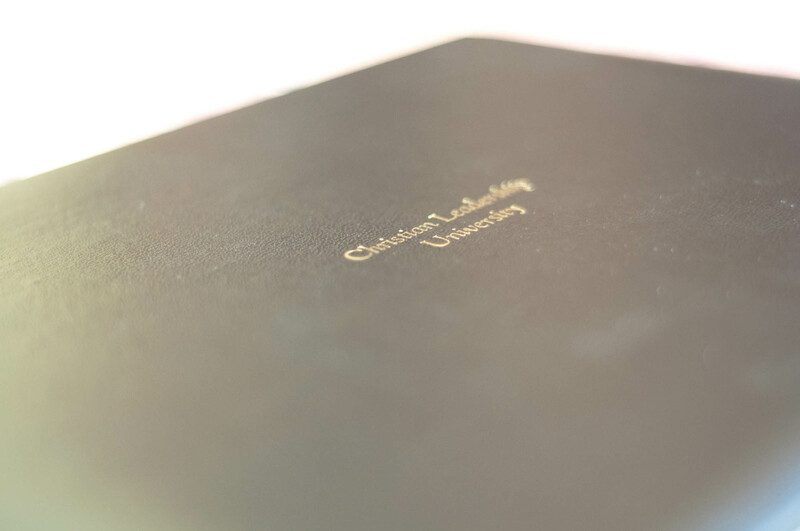 It should be noted that CLU uses the nationally accepted “semester credit” measurement. Our courses are designed to be completed in 12 weeks rather than the normal 16-week semester meaning there are more hours of homework per week. By fitting the course into 12 weeks, it allows you to take three trimesters per year with a summer break, or you may prefer 4 trimesters. This course has restored my relationship with God. I began to learn more about the Holy Spirit dwelling with my spirit. As I meditated on the scriptures, I began to recognize that I am not an ‘I’ but a ‘We’. The ‘We’ is the relationship of my spirit and God’s Spirit living in me. The material has shown me how to live my life as a ‘We’ and has made clear to me that God wants to flow through me. I am very thankful for the determination of God to hang on to me and to stay with me. He renewed my heart so I can commune with Him. ‘We’ can now accomplish His work on earth. Amen!! What Programs of Study Are Available? takes four or five classes per 12-week quarter and three quarters per year. Most courses are worth three or four credits. usually take a minimum of four courses per year (i.e., one per quarter). If you choose to do the program on a part-time basis, taking only one or two courses per semester, it obviously will take you considerably longer to complete. Since you are doing your study in your home, there is no need to rush through it. You may slow down and take it at a more relaxed pace, allowing the skills to sink deep into your heart, providing complete life transformation. You are urged to continue to minister in your community during your training years, thus giving you a real life outlet for what you are learning. 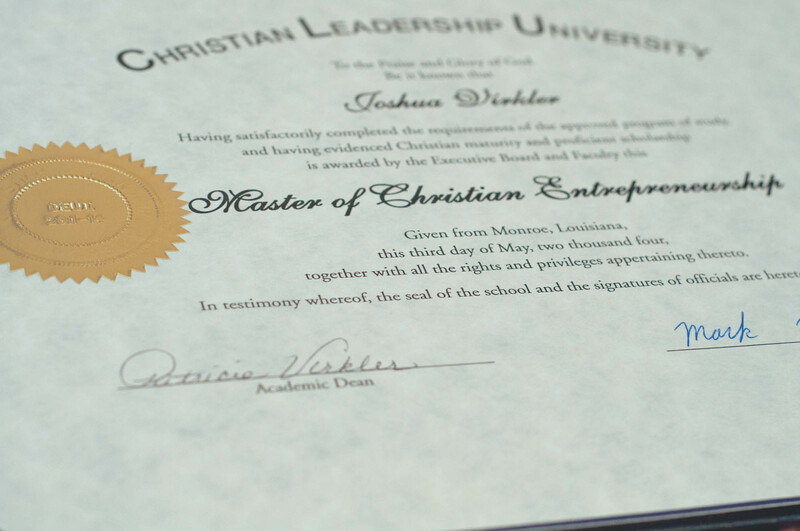 The State of Florida Board of Regents has exempted Christian Leadership University from normal licensure provisions because CLU offers only religious degrees.